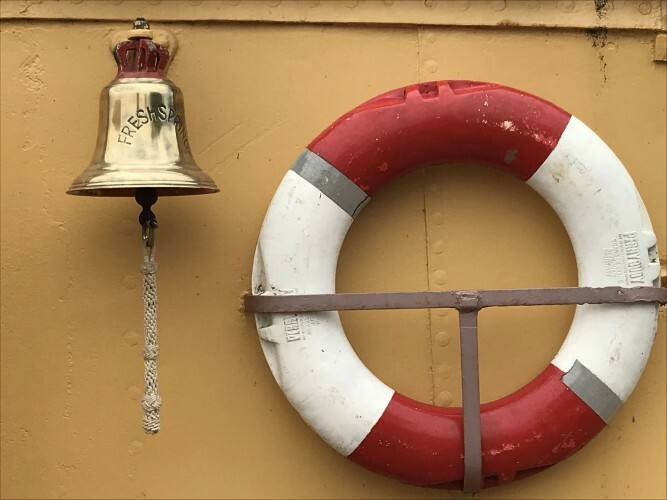 The Steamship Freshspring Society aims to advance the education of the public through the preservation and operation of an historic steamship and the promotion of maritime and engineering studies, particularly among young people, for the public benefit. The Steamship Freshspring Society is a charitable incorporated organisation (CIO) and was entered on the Register of Charities on 7 May 2013, with the charity number 1151907. The charity is based in North Devon, though our membership extends all around the UK and the world. The official name of the charity to which all members will belong is the Steamship Freshspring Society. The Trust has three Patrons of significant standing in society. The Right Honourable Earl Attlee has been a patron for several years and has been instrumental in raising the profile of the trust. Rear Admiral Nigel Guild CB CEng FREng supports education, the return of the ship to operation and careers in the maritime sector. Captain Kevin Slade FNI supports education, careers in the maritime sector and future operation of Steamship Freshspring. All Patrons are actively involved in theTrust's vision and direction. We have up to 12 trustees. They are from backgrounds which compliment the direction and aspirations of the trust. Skills range includes maritime, legal, fundraising, IT development, education, ship repair/operation, finance, public relations, management and editorial. Jobs In Maritime and National Maritime Development Group and has received kind support from Nautilus International. Boat Share Finder is a portal bringing together existing boat owners and aspiring boat owners to buy and sell shares in all types of vessels quickly and easily. They do not charge for their services, but instead have selected the Steamship Freshspring Society as a beneficiary of donations given to them for the service. Please promote this service if you can.